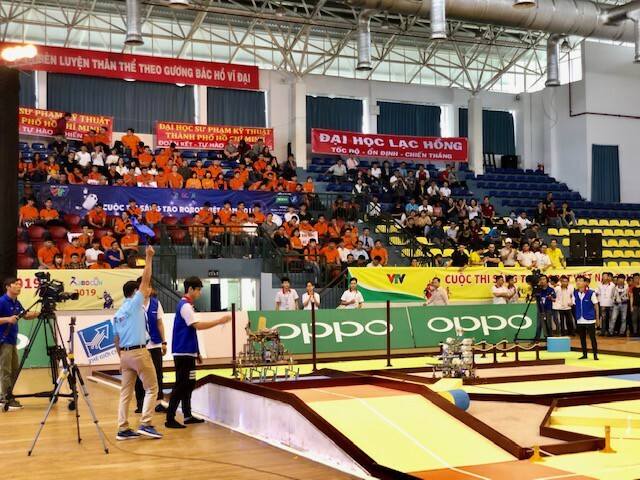 The Southern region qualifying of Vietnam Robocon 2019 kicked off yesterday at Ho Xuan Huong Gymnastics and Sports Club, Ho Chi Minh City with the participation of 14 robot teams from technical universities in the Southern region including LHU (6 teams), HCM City University of Technical Education (6 teams), HCM City University of Technology (one team) and Kien Giang University (one team). After two thrilling and stressful rounds, the Organization Board has selected the 8 best teams representing the Southern region to compete at the national finals in May 2019 in Hai Duong. 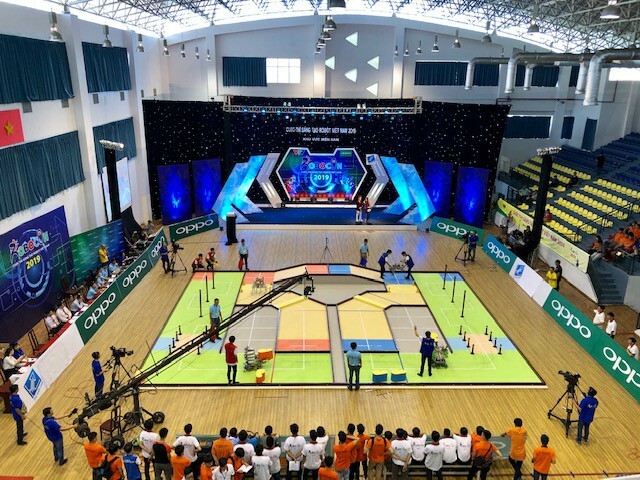 The Vietnam Robocon 2019 will see the participation of 32 teams selected from qualifying rounds in three areas over the country, North, South and Central. Earlier, the Northern regional qualifier selected 24 teams to compete with 8 Southern representatives at the finals. From here, the best team will represent Vietnam to participate in the ABU Asia-Pacific Robot Contest 2019 which will be held in Ulaanbaatar capital (Mongolia) on August 25. This year, LHU has 6 teams participating in the Southern regional qualifier. As a result, 5 robot teams including LH-BFF, LH-OCEAN, LH-WAO, LH-STORM and LH-LEGEND won overwhelmingly to enter the national finals. The remaining teams (SPK-FIRE, SPK-DELTA and SPK-WIND) belong to HCM City University of Technical Education. Up to now, LHU has won 8 championships at the Vietnam Robot Innovation Contest and 3 championships at the ABU Asia-Pacific Robot Contest.